The community of Los Osos/Baywood Park is nestled along the Southern tidal estuary of Morro Bay, on the smog-free coast of Central California. 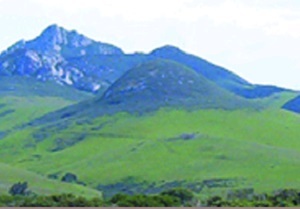 The town is a short 20 minute drive from San Luis Obispo through lush agricultural and cattle grazing countryside, a short 3 mile drive from Morro Bay and is just a few hours drive from several metropolitan areas such as San Francisco, Los Angeles and Santa Barbara. Located 2.5 miles southwest of Los Osos is Montana de Oro State Park. This 8,000 acre, mostly undeveloped park offer visitors a wealth of natural beauty and excellent opportunities for hiking, camping and horseback riding, as well as shore fishing and diving. Over 50 miles of hiking, biking and equestrian trails in the state park, Sweet Springs Nature Preserve, Small Wilderness Preserve and Los Osos Oaks State Reserve. Downtown Baywood Park, located on the back bay, has a village atmosphere that encourages one to stroll through small shops, art galleries and local restaurants. Kayaking and canoeing is available on the Estuary. Festivals and outdoor music in spring, summer and fall. Local artisans throughout the community. Buses are available through out San Luis Obispo County. Jan 42.0 F° 52.0 F° 61.9 F° 3.5 "
Feb 43.8 F° 53.1 F° 62.4 F° 3.7 "
Mar 44.4 F° 53.4 F° 62.4 F° 3.7 "
Apr 45.0 F° 54.2 F° 63.4 F° 1.1 "
May 47.5 F° 55.1 F° 62.8 F° 0.3 "
Jun 50.2 F° 57.3 F° 64.3 F° 0.1 "
Jul 52.3 F° 58.8 F° 65.2 F° 0.0 "
Aug 53.3 F° 59.6 F° 66.0 F° 0.1 "
Sep 52.6 F° 60.1 F° 67.7 F° 0.4 "
Oct 49.9 F° 59.3 F° 68.6 F° 0.7 "
Nov 45.6 F° 55.9 F° 66.1 F° 1.5 "
Dec 41.8 F° 52.0 F° 62.3 F° 2.5 "
Los Osos/Baywood Park enjoys a moderate climate all year: Winter - sunny days, clear nights. Spring - breezy days, cool nights. Summer - foggy mornings, sunny afternoons and cool nights. Fall - warm, sunny days, cool nights. Condos Over 50 Communities Los Osos/Baywood Park is a bedroom community that supports the college town of San Luis Obispo. We are mix of beach bungalows, family homes and vacation rentals. Home care Senior center Visiting nurses People Helping People offers senior help and free meals. Los Osos Cares Community Resource Center offers community resources and free dinners twice a month. There are volunteer opportunities through local service clubs, library and churches. The Chamber of Commerce uses senior volunteers.